Giving a gentle bath to new born baby is duty of every mother and she should be wisely takes the decision at the time of selection of bath soap for kids. No doubt there are many soap companies available in market which engaged in making good soaps for your kids. 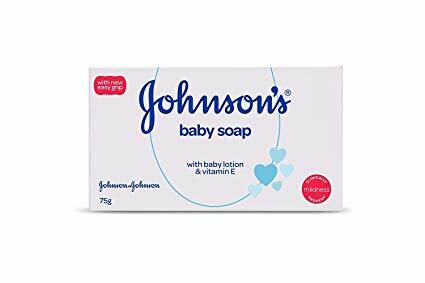 Personally we would suggest the parents, before purchasing soap for your baby, you must analyze the soap’s ingredient and ensure that they are safe for your baby or not. It is very common understanding that your baby soap should not be harmful for your kid’s skin and it should not give allergic reaction. Here we are sharing some good soap names which are available in market, but personally we would like to suggest you to consult with your doctor before buying them. There are different type of skins and varies from kids type, so ask to doctors first according to your kids suitability then you can try. It is the most trusted brand in Indian market and they have the biggest market share if you talk about new born baby related products. And not only in soap making, This Company engaged in every product which is related baby care. This soap is really easy to hold in hands because of its shape and gives good grip while we hold them. They have gentle baby lotion and Vitamin E which is really good for baby’s body. There are some more articles which are related to best skin whitening soap that is really effective for your better skin. When we take name of Himalaya then only 1 thing which comes in our mind is which is trustful herbal product and this company is providing quality products for all (not limited to babies only) and this thing makes this product more visible in front of buyers. 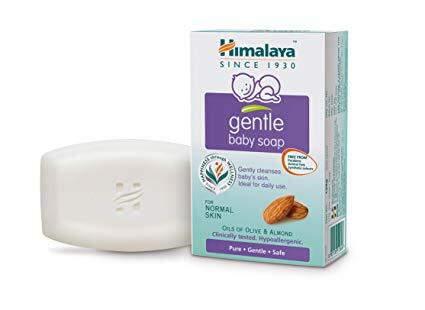 This baby soap helps in cleanses the skin really safe for newborn babies as we heard, and there are many good ingredient available in this soap like olive oil and Vitamin E which are most required ingredients for baby’s skin which soften the skin and protects from harmful bacteria. 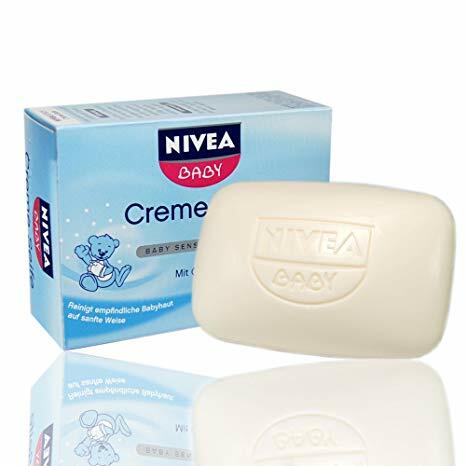 Nivea is also good name in health and beauty related products and we found their one known soap on the net which parents prefer to buy and use for their babies. As like the name this soap helps in making skin of baby creamy and soft also. There are two major ingredient of this soap which are calendula and olive oil and both are known for improving quality of skin. We hope you would like this post about baby soap in the market. Don’t forget to share on social sites. Thanks.